The U.S. Department of the Treasury announced on Tuesday new sanctions against two North Korean officials over their involvement in the ongoing development of ballistic missiles and means of their delivery. “Treasury is targeting leaders of North Korea’s ballistic missile programs, as part of our maximum pressure campaign to isolate the DPRK and achieve a fully denuclearized Korean Peninsula,” Treasury Secretary Steven Mnuchin said in a statement. The announcement followed Friday’s United Nations Security Council Resolution, which imposed new, oil-related sanctions on North Korea. The Treasury’s Office of Foreign Assets Control (OFAC) targeted “key” officials of the U.N- and U.S.-designated Workers’ Party of Korea Munitions Industry Department, Kim Jong Sik and Ri Pyong Chol. “As a result of today’s actions, any property or interests in property of those designated by OFAC within U.S. jurisdiction are blocked, and transactions by U.S. persons involving the designated persons are generally prohibited,” the Treasury said in a release. 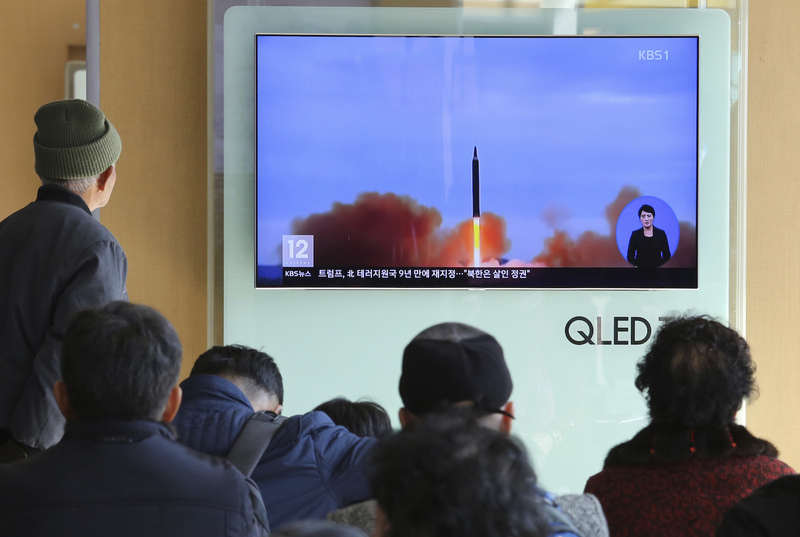 U.S. authorities specified that Kim Jong Sik reportedly is “a key figure” in Pyongyang’s ballistic missile program and its efforts to switch from liquid to solid fuel.